Group Health Insurance Plans--Delaney Insurance Agency, Inc.
Medical Benefits are the extra value services you provide to your employees. It is not required by law, but many laws apply to the Benefits which are offered. We can help with that process through many different manners, including building company specific intranet sites to help with the enrollment process. Group Benefits provides an easier way to provide group protection at lower costs and increase employee loyalty at the same time. Dramatic changes in health care are creating unique challenges for large businesses. ACA, Healthcare Reform & containing Costs require different approaches. 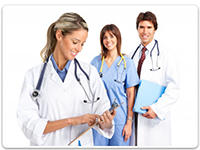 We can help your company design a customized Healthcare Package of benefits which can assist in reducing costs. We have the solutions which allow you to maximize your investment in your workforce. Additionally, we have built out company websites to help with the enrollment processes. according to your specific needs. We have an excellent reputation & relationship with our carriers. We are able to provide the best match for your specific needs. We also have Certified Cover California Agents to answer questions and provide quotes for California's Public Exchange.